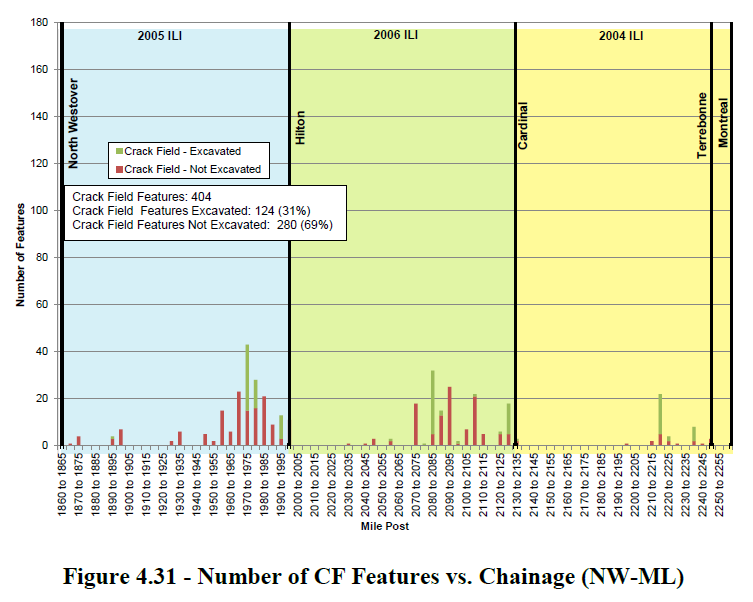 Enbridge uses the term “features” or “anomalies” to describe problem areas in the pipeline due to cracks, corrosion, and dents. 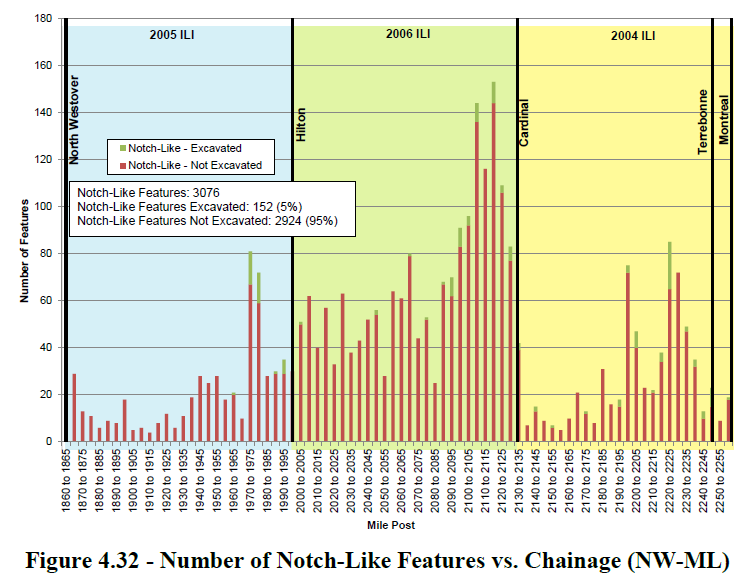 NOTE: The term “chainage” used in the charts essentially means the accumulated length of the pipeline as indicated by mile posts (MP) on the x-axis. There are features reported throughout the length of Line 9B between North Westover and Montreal. However, there is a higher overall concentration in the section between Hilton and Cardinal pump stations, as well as relatively higher concentrations in closer proximity to the current discharge side of the pump stations. Approximately 43% of digs completed on Line 9B were within the Hilton to Cardinal section. 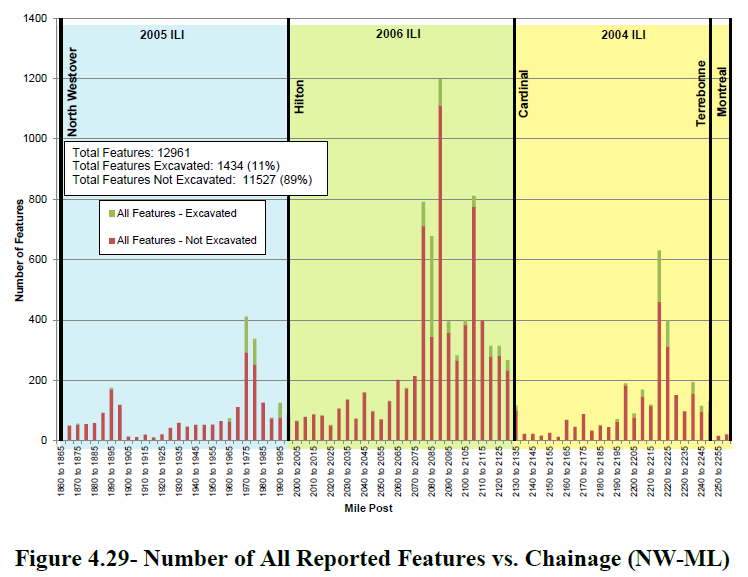 Overall, approximately 83% of digs were within the first 50 miles downstream of a discharge pump. 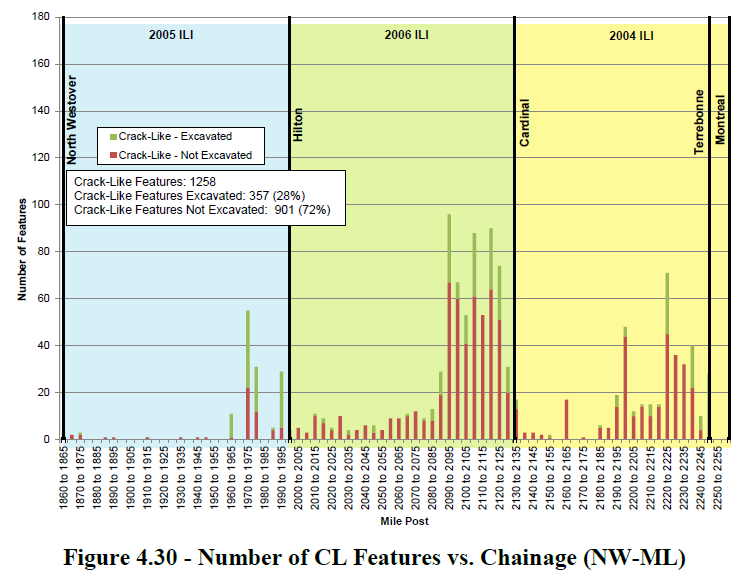 Given the high concentration of problem areas between Hilton and Cardinal stations, it is not surprising that Enbridge has yet to announce the results of a 2012 In-Line Inspection (ILI) tool run along this portion of Line 9B.